There’s something inherently fun in riding an elephant and blasting your way passed the obstacles. Add plenty more animals into the mix, and you’ve got yourself one hell of a game! From the kitchen of Yodo1 comes a title that plays both as an endless runner and as a park manager. Rodeo Stampede: Sky Zoo Safari it is called, and it adds a few new twists to both of these well-established formulas. 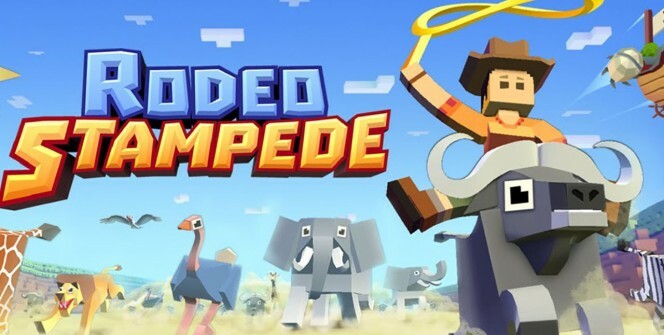 Rodeo Stampede: Sky Zoo Safari aims to satisfy your wildest stampede dreams, having you saddle up the zoo creatures and endlessly run through savannahs. But mind you, this is not in the least easy; all of the running animals are, at the start, none too happy with you on their back. You need to subdue them to your will first, and then try to get your head not to hit any of the numerous obstacles! Want to saddle up a buffalo? You now can. An ostrich? No problem. Even bears are no match for the rodeo superstar! 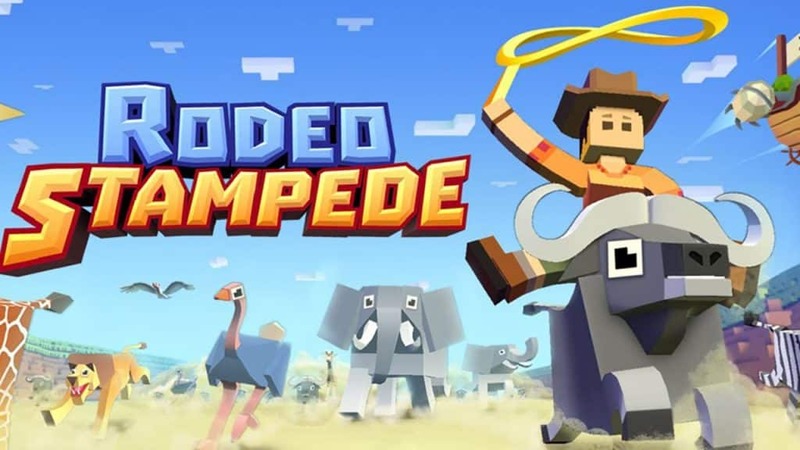 Rodeo Stampede is packed with different kinds of animals you can ride, along with the secret ones that you need to unlock first. The beasts in this game are not restricted to the ground fauna only. Who wouldn’t want to fly the skies with a bird of prey? But beware, not all animals are equal in riding; some of them present a bigger challenge than the others. The controls in Rodeo Stampede: Sky Zoo Safari are largely intuitive, and once you get the hang of them, they work really well. It’s all in the combination of tapping and holding and releasing. Holding a tap will allow you to ride, while releasing will make you jump on an unsuspected animal. But to successfully land on it, you’ll need to tap once more at the appropriate time. When you’re not running the prairies and lassoing the beasts, the game will have you managing a zoo. All the animals you caught during your stampede exploits are there, waiting to be taken care of. First you need to jump them, then control them for a few seconds, and them they all yours, nice and tamed! Building habitats for new animals is the integral part of the zoo management. And this zoo is, oddly enough, seated on a flying airship high up in the clouds. The zoo isn’t for your fun only, you can invite visitors to see and marvel at your unique collection. The bigger the zoo, the more money you can make off of. That money can either be spent to expand the zoo premises or to get awesome new upgrades. On top of being is clad in uniquely cartoony graphics, the game is powered by some really goofy animations. These two features combined lend a truly compelling look to the game. But don’t let the playful look of the game deceive you, stampeding is a serious business! Intrigued? Hyped? Whichever of these categories you belong to, make sure to at least give the game a go. So what are you waiting for? Get that Lasso ready at once! Sometimes when playing Rodeo Stampede: Sky Zoo Safari, bluestacks ask you fee to pay but gives you option to download some apps. Every time it asks you just select “Install apps” and continue using it free. I hope you enjoyed this guide, please rate and share. 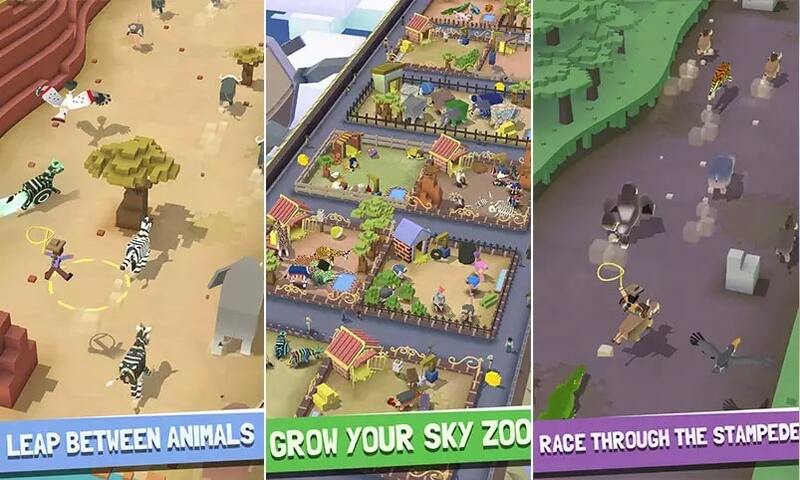 If you have problems running Rodeo Stampede: Sky Zoo Safari apk on desktop or any other issues, leave a comment below.